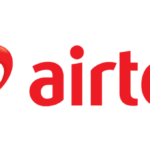 Airtel smartTRYBE plan seems to be the height of all Airtel smart and spicy offers with its awesome campus data deals, one-of-a-kind night browsing features, affordable calls and data rates, and lots more. 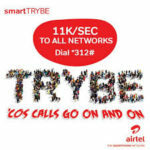 Airtel smartTRYBE has one of the most fantastic call rates of all Airtel tariff plans. With only 11k/sec, you can make calls to all networks. Subscribers can enjoy a humongous data of 1GB for 500 NGN which is usable for one week (7 days). Data bundles in Airtel TRYBE are cheap in all campuses in Nigeria. Airtel awards 30% additional data when you purchase any bundle above 500 NGN. Airtel smartTRYBE is the only Airtel tariff plan that gives subscribers the opportunity to browse at night at really affordable prices. Just with 25 NGN, you can get 500MB to browse from 12 am to 5 am. Additionally, every subscriber in Airtel smartTRYBE is automatically qualified for a free 15 MB weekly benefit. Users are awarded 5MB bonus for the first 100NGN recharge and 10MB for the second 100NGN recharge, giving a total of 15MB per week. To subscribe to Airtel smartTRYBE, dial *312# to opt-in. Airtel smartTRYBE is a really cheap tariff plan. Local calls in this plan attract 20k/seconds for the first 50 seconds and subsequently, the call rate is 11k/seconds. International calls to destinations like US/UK/India/Canada/China are charged at 20k/seconds while standard rates apply to other destinations. Furthermore, the TRYBE plan has 5 data bundles namely, Easy, Android 1.0, BB Unlimited, Android 2.0, and Android 2.5 with prices 500NGN, 1000NGN, 1500NGN, 2000NGN and 2500NGN respectively. The data allowances for each of the aforementioned bundles are 750MB, 1.5GB, 3GB, 3.5GB and 5.5GB respectively but interestingly, subscribers on any Nigerian campus can enjoy additional data of 225MB, 450MB, 920MB, 1.05GB and 1.5GB for the respective aforementioned bundles. With the exception of the Airtel smartTRYBE easy bundle which is valid for only 14 days, each of the other aforementioned data bundles is valid for 30 days. You can purchase any of the data bundles by dialing *141# and you can check your campus data balance by dialing *140#. Dial *312# then select 3 to see the Trybe Night Browsing offers. Plan is valid from 12 am to 5 am.